I with environmental compliance scheme and resource efficiency specialist, Ecosurety, on their requirements for the design of elements for a battery recycling pack. The pack was to go into smaller store chains, who sell batteries and electrical appliances, including Poundland and Spar. 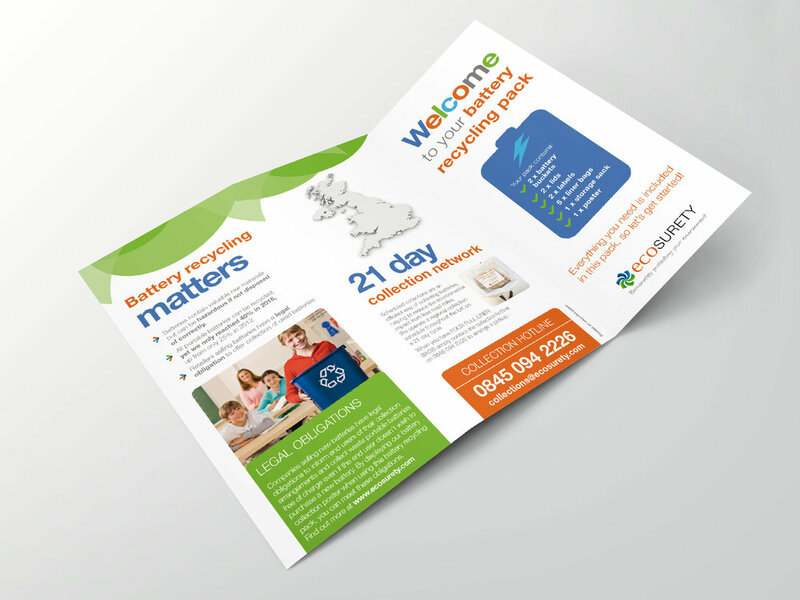 Designs for all the elements within the recycling pack had to adhere to current, but new, Ecosurety brand guidelines. These new guidelines had so far only been applied to a company folder and inserts – hence the requirement for the re-design of this pack. 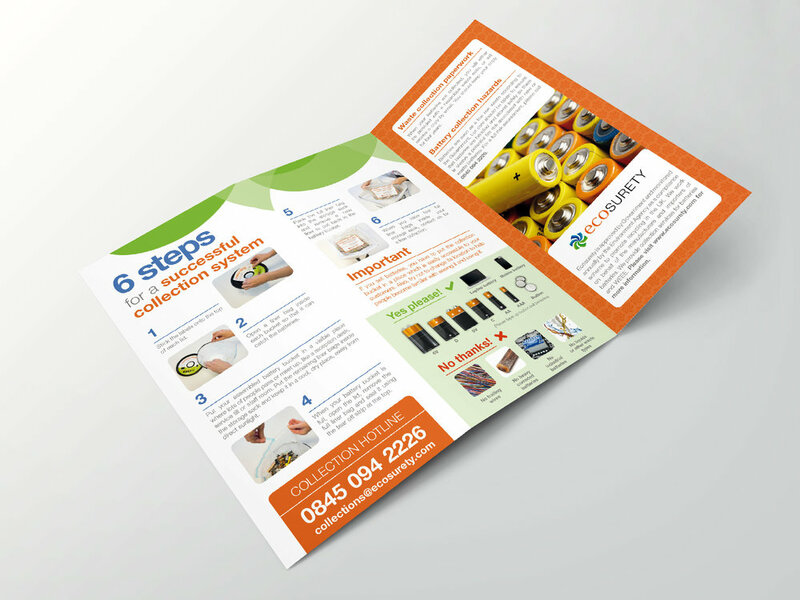 Elements of the pack comprised of a six page DL welcome leaflet, which detailed assembly of the pack and instructions on arranging used battery recycling pick up. 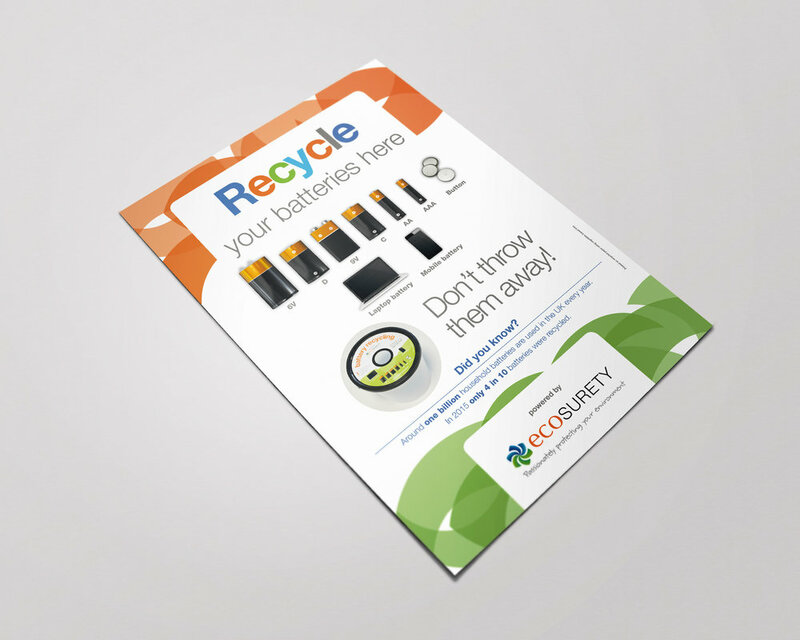 A simple, single-sided A4 flyer gave a quick overview for stores, including how to apply the circular battery bucket lid label, which was designed as part of the pack. A3 posters were designed for display in-store. These clearly displayed to customers the options on battery recycling, as well as the store’s commitment to recycling customer’s old electrical appliances free of charge, when they purchase new appliances. The resulting pack has now been printed and is being rolled out into Poundland and Spar stores, with plans to involve other small food stores in the near future. — Ben Luger | Marketing Communication Specialist, Ecosurety.